So you think weapons should be removed from the game then ? This card is best played once your opponent plays Loatheb. The golden coin wins you games. If you have the golden coin your deck is all gold. If your deck is all gold opponents get annoyed. If your all gold deck is control priest your opponent gets irate and rage quits. It should cost 1, Blizzard pls. how we get gold coin ? Golden Tomb Pillager does the job, too. I like how you get downvoted just for being you. 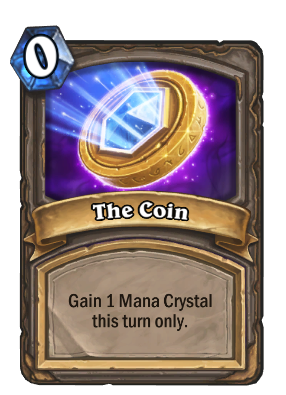 Theres also a golden version of the coin,you could include it.